The Class of 2017 has embraced Shakespeare fearlessly from day one, reading scenes with one another during workshop periods, leaping immediately into staging, analyzing other productions — and going toe to toe with Shakespearean English until they mastered what is essentially a new dialect in a matter of months. They have created everything the audience saw on stage, from the sets and costumes to the lighting and sound design. 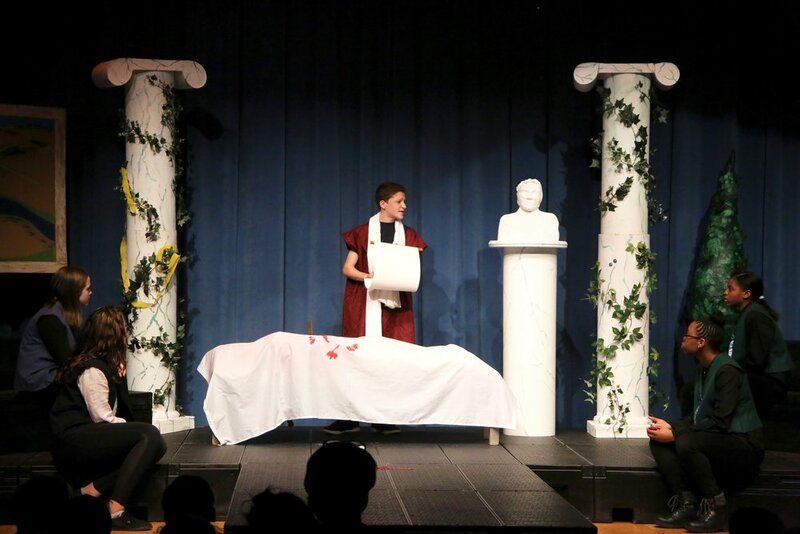 All of the great ideas in this year's Julius Caesar and A Midsummer Night's Dream are theirs. Shakespeare is one of the most deeply held TPS traditions, and one of the most lasting. I can’t tell you how many times just this year alumni have returned to say that they still remember all their lines. That they’re going to try out for a play. And most importantly, that while their high school classmates are panicking about reading Romeo and Juliet, they know they’ve got this. We owe a debt of gratitude to former TPS teacher Judith Parker and my colleague Emily Marston for creating this truly progressive curriculum that allows all our students the chance to make Shakespeare their own.